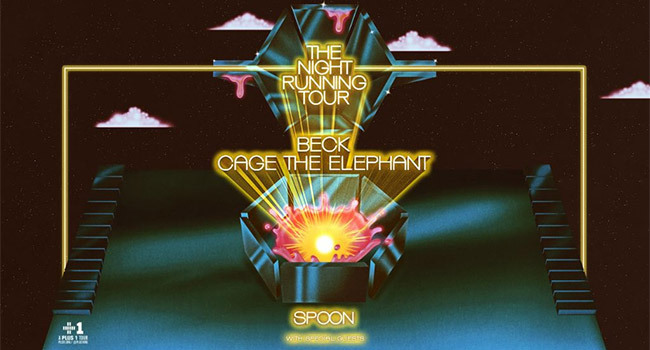 Seven time GRAMMY winner (including 2014 “Album of the Year” for Morning Phase) Beck has confirmed a return to the road in the form of a co-headlining tour with Cage The Elephant — with support from Spoon — beginning July 11th at Sunlight Supply Amphitheater in Ridgefield, WA. Tickets go on sale to the general public beginning Friday, February 15th at 10 am local time at LiveNation.com. Citi is the official pre-sale credit card for the tour. As such, Citi cardmembers will have access to purchase pre-sale tickets beginning Tuesday, February 12th at 10 am local time until Thursday, February 14th at 10 pm local time through Citi’s Private Pass program. Having already WOWed listeners twice in 2019 — first with “Tarantula” from Music Inspired by the film ROMA, and more recently with “Super Cool” from The Lego Movie 2: The Second Part — Beck is excited to once again take it to the stage. While his 2017 album Colors (Capitol Records) has enjoyed some of the most positive reviews of Beck’s peerless career, as well as two GRAMMY awards (Best Alternative Music Album and Best Engineered Album, Non-Classical), live performance has always been Where It’s At (sorry) for modern music’s consummate chameleon. Prior to the start of their co-headline The Night Running Tour, both Beck and Cage The Elephant will be appearing at the Shaky Knees Festival in Atlanta. See all tour dates with confirmed openers for each date below.